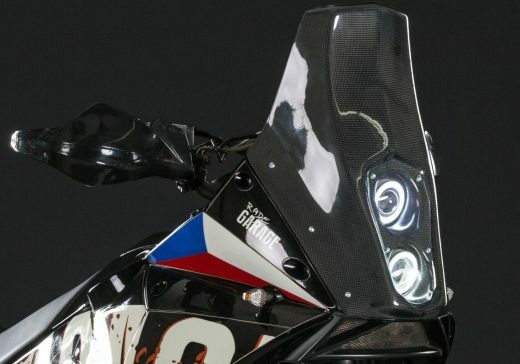 Because of its more steep shape, the RADE/GARAGE Rally screen has improved wind buffering and protection in comparison with the KTM 990 Adventure OEM windscreen. The angle of our RADE/GARAGE Rally windscreen creates more space behind it, which allows you to better place and protect navigation equipment. You also get more flexibility for selecting the best viewpoint for GPS or road book. The road legal LED headlights (ECE certified) are assembled from high end components such as true Cree chip. With 70W output these LEDs are significantly stronger than the OEM headlights. 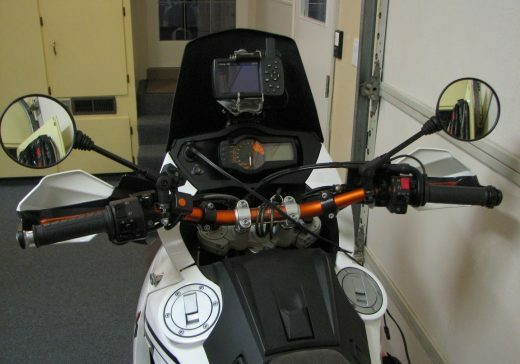 How does the Rally LED kit work? 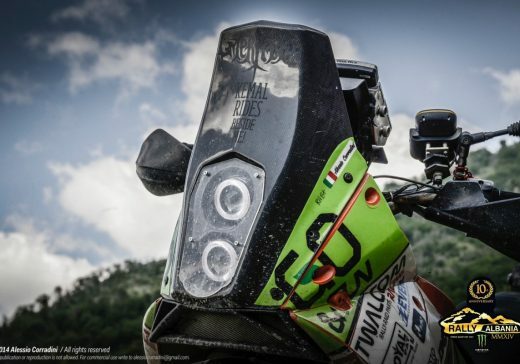 What is included in the KTM Rally LED kit? The installation is quite easy and takes less than two hours. 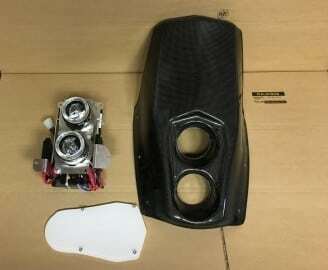 You just remove the OEM headlights and mount in the LEDs on supplied bracket. Last, you put on the Rally screen to the same mounting points as the OEM screen. For more details follow the video guide.